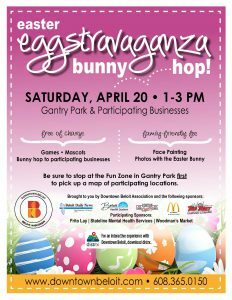 Children ages 2-10 are welcome to join us for a bunny hop! 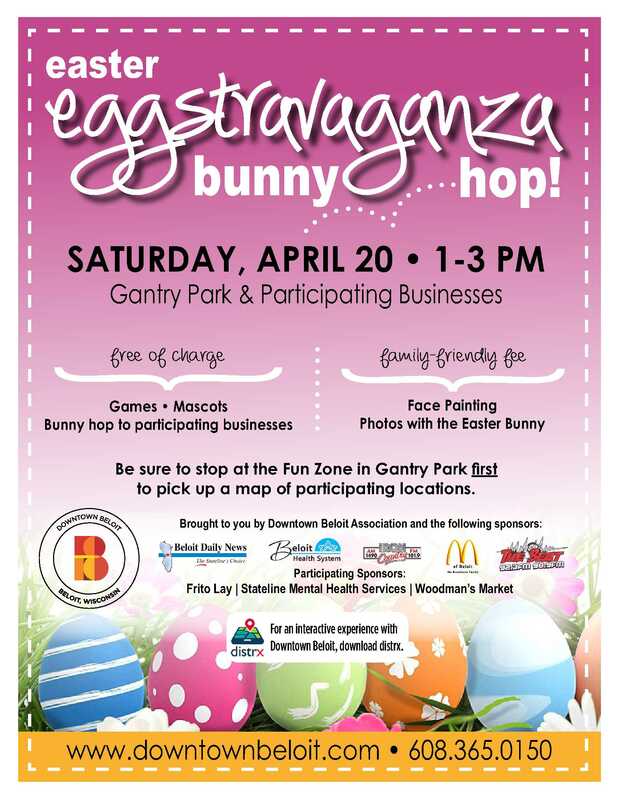 Fun zone, photos with the Easter bunny, mascots, face painting, balloon animals, and more! Maps of participating locations will be available at the Fun Zone at Gantry Park. Small fee for photos with the Easter Bunny.